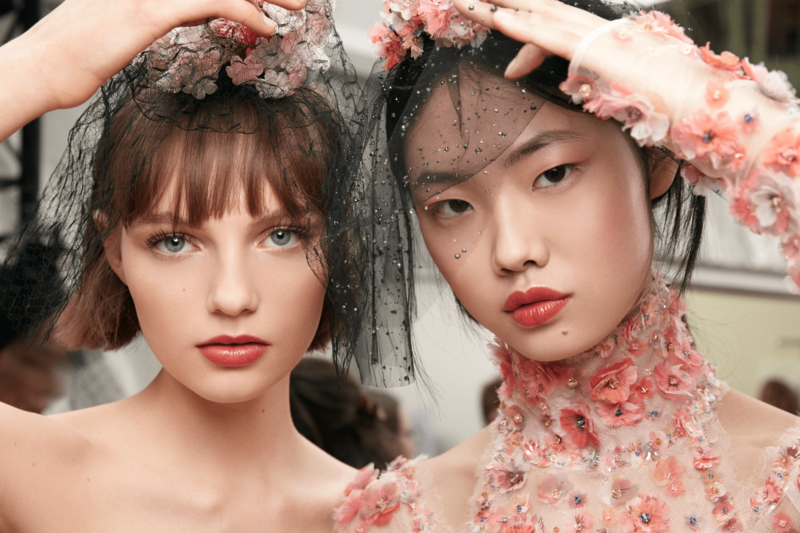 CHANEL’s recent Haute Couture show was nothing short of stunningly ethereal and truly seemed to symbolize the very essence of Spring. 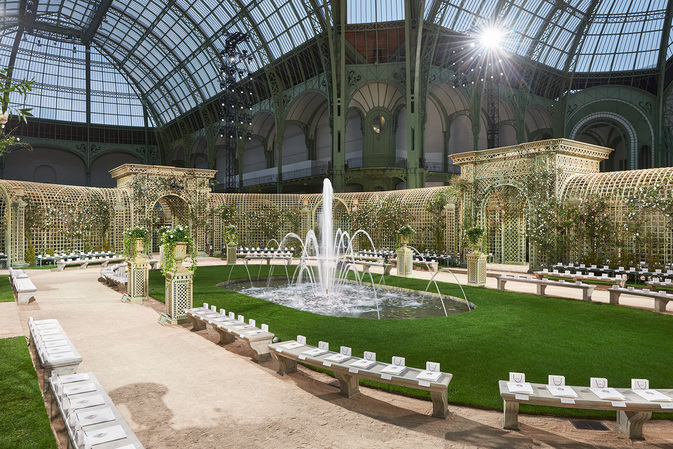 Held in Paris’ Grand Palais, the venue had been transformed into replicas of 17th century-style ponds and groves, complete with verdant greenery & splashing fountains, while the guests were seated on benches surrounding the gravel runways — the better to view the brilliant creations, obviously. Not to be outdone, the beauty look was fresh yet modern … and so totally wearable, although I’m now seriously considering adding a tulle headpiece to my repertoire. 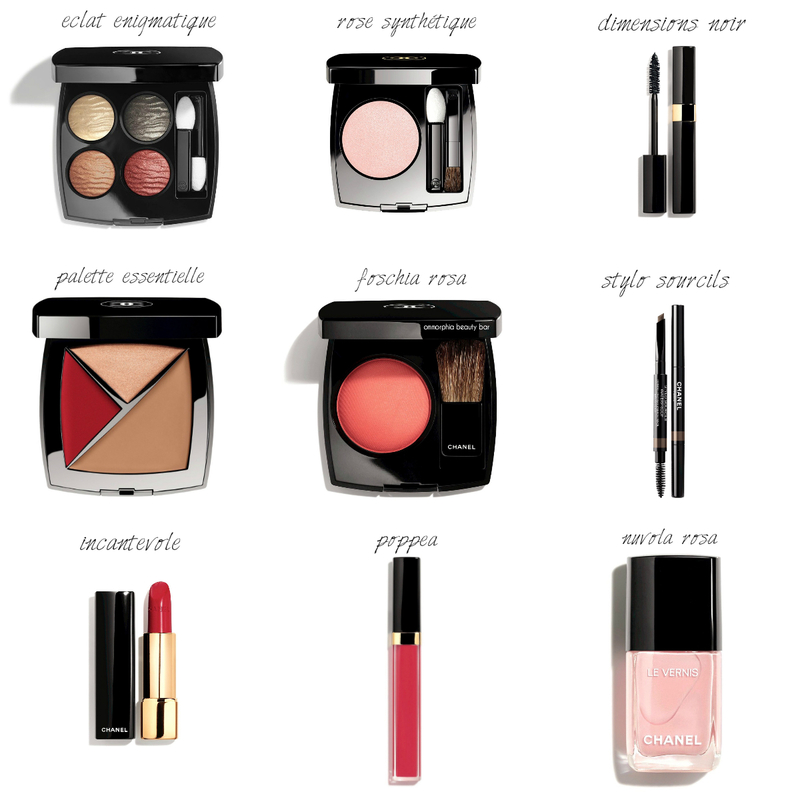 Created to compliment and enhance the exquisitely crafted masterpieces seen on the runway, the makeup was kept deceptively simple around the eyes with just a few rosy hints seen on the lid to draw the light in, while cheeks were given that high flush of colour one usually receives after a brisk walk in the fresh air. 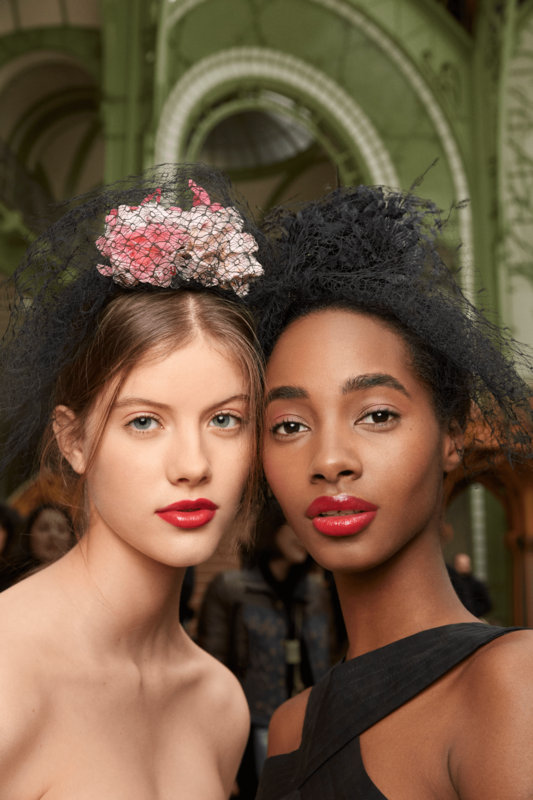 The crowning touch was the vivid poppy red glossy lip that added a touch of sensuality and fierceness to the look — and kept it from appearing overly dainty. Personally, I can’t help but notice that this is one of the few Haute Couture looks I’ve seen that is not only effortlessly lovely, but so relatable for the rest of us non super-models — which translates as easy to recreate and thus, wear. Merci!